The first multiplayer gameplay trailer for Killzone: Shadow Fall has been released from Gamescom last week, and shows just how much freedom the online mode gives players. Using the new customizable Warzone features demonstrated in the trailer, you can pick the number of players (4-24), rules, mission modes, classes, abilities and weapons you want to allow in a match. The game will also provide preset Warzones you can jump straight into, and the community team will regularly highlight interesting new Warzone presets and introduce new options to customize and play with by means of expansion packs. There are now eight different rotating mission modes, four of which are new to Killzone: Shadow Fall. The game has three classes with unique abilities and 22 different weapons – all unlocked from the get-go, so you can determine for yourself how and in which order you want to specialise. 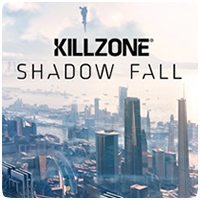 The progression system has also been modified to work with challenges rather than XP, with over 1500 increasingly difficult challenges to complete in Killzone: Shadow Fall multiplayer. To increase longevity even further, we plan to continue support for the title well after launch – and yes, DLC multiplayer maps will be released free of charge to ensure everyone can play!